Nearly ten years ago, my then-boyfriend, now husband, and I were backpacking through the Balkans region of Europe. After arriving in Bosnia, we opted to take a day trip to a small town called Medjugorje, in Herzegovina. We had heard that it was a popular place with tourists from all over the world, and we were eager to check it out. But what we didn't quite expect were the reasons why the town was so well-known. And the reasons are twofold: first, it was the location of a sighting in 1981 of the Virgin Mary, who was said to have appeared to a group of teenagers there. As such, the town became a holy pilgrimage site, particularly for Catholics around the world. Even though the vision of the virgin hasn't been promoted or officially accepted by the Vatican, it hasn't stopped the flow of visitors clamoring for the chance to visit this seemingly holy place. In remembrance of the miraculous vision, a beautiful church was erected. And in the church’s garden, a bronze statue of the risen Christ was also placed. But here's the further reason for the pilgrimage- since 2000, that statue has had a so-called weeping knee- miraculously producing a clear fluid each and every day for the last 16 years. We saw this statue with our own eyes. We touched it, and we watched as dozens of people collected the clear fluid- not water, not oil, but something else- into souvenir bottles that were sold all over the town. Still, I didn't know what to think, or how to react. Was this statue for real? I think that belief and faith are beautiful, incredible things. But I also felt skeptical, too. I found myself torn in the middle- religious yet unbelieving, living in a gray area. But like Fox Mulder, I want to believe. Sometimes people think that visual art is dry, boring, lifeless. They might remember childhood field trips to museums stuffed with cranky old women, deathly silent galleries, and dusty golden frames hanging on the wall. But sometimes, the stories behind those paintings, sculptures, drawings and photographs are weirder, crazier, or more fun than you can imagine. Art History is full of murder, intrigue, feisty women, rebellious men, crime, insanity, and so much more. And today, in honor of the holiday season, we are going to look into the phenomenon of the miraculous in art, focusing on weeping statues and bleeding icons. 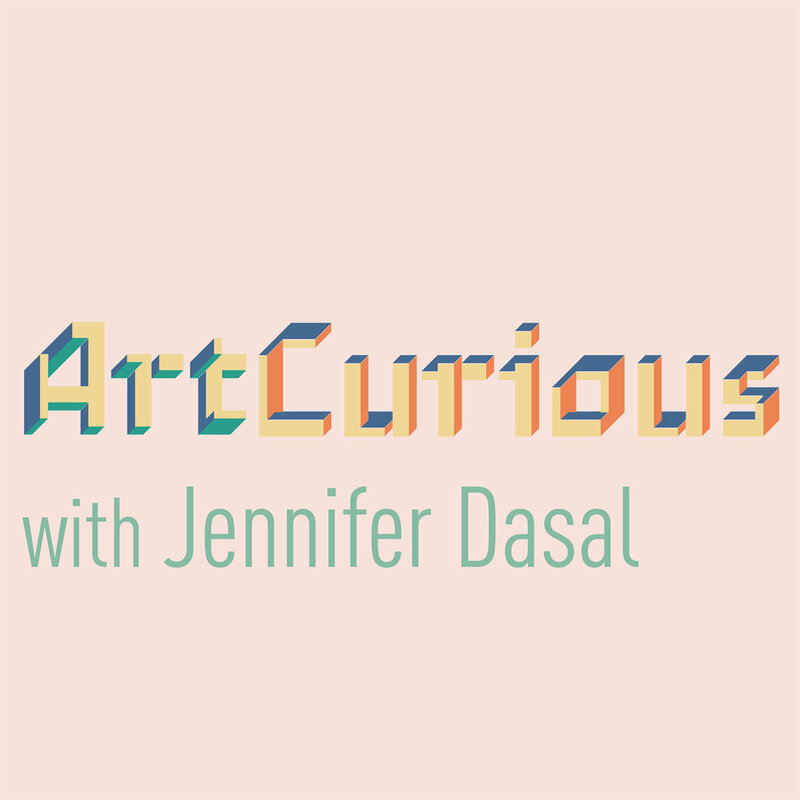 Exploring the unexpected, the slightly odd, and the strangely wonderful in Art History, this is the ArtCurious Podcast. I'm Jennifer Dasal. I want to mention, before we get into the nuts and bolts of so-called “miraculous” art that I am not here today to take sides. I will neither endorse of these works as miraculous or supernatural in any way, nor will I condemn them all as fakes or frauds. Religion, like politics, is of course a sensitive topic. But I hope you'll come with me on this adventure today to hear a little bit from both sides in a safe and nonjudgmental way. The phenomenon of the miraculous work of art is by no means brand new, but in our modern age, the easy access to internet and worldwide communications makes such occurrences seem much more common-- not only in the number of claims of supernatural or holy works of art, but also the vast number of locations where they have been found. Sightings of weeping icons and bleeding statues have been documented all over the world-- in Mexico, the Philippines, Bolivia, Italy, Ireland, Benin, Bangladesh, Australia, and so on, with several occurrences even here in the U.S. In fact, just this year, 2016, there have been numerous reports of magically weeping statues, including one in California and one in New Mexico. And of course it is probably not a surprise to note that when a statue or icon is seen as crying, there’s usually a pretty clear reason for it. An image isn't going to just up and start bleeding or weeping because it’s a Monday-- it will wondrously emit a substance because of a world disaster such as an earthquake or a tsunami, or because of an outbreak of violence within a particular city or country, to give just a few examples. To me, it seems as if the statues always have some sort of agenda, making their actions all the more powerful and intoxicating to believers. The interesting thing about the concept of the miraculously weeping work of art is that it seems to be a fairly modern occurrence-- if there have been statues shedding tears for hundreds of years, I’ve yet to hear about them. That doesn't mean that they don't exist-- it just means that it's not as obviously publicized as those from the more recent past. (And listeners, if you know of other examples, please tweet me at @artcuriouspod and let me know-- I’ll retweet you and keep our other listeners up to date whenever possible). And when I am talking about the more recent past, I really mean recent-- like in the last 80 or so years. What is far more common within faith communities is a miraculous sighting-- an apparition or visitation of a saint or holy figure or of Jesus himself, with the most common, by a long shot, being the appearance of the Virgin Mary, the mother of Jesus. And indeed, some of the more famous holy works of art, coincidentally, seem to have begun their inexplicable actions in conjunction with a vision-- so, while they are not always linked, there does seem to be a correlation between these astounding phenomena. These sightings seem to have a few commonalities, so I am going to break it down for you. Typically, the works of art that seem to be acting in a miraculous manner are sculptures, though some reports exist claiming the same of painted icons. They appear to be crying actual, salty tears- or they are bleeding, or extruding oil, or some other mysterious liquids. And it probably goes without saying, but for the incredibly vast majority of these works, we are not talking about sculptures created by Picasso or even your mom’s terracotta portrait of your uncle Jimmy. These are almost entirely works of art featuring saints- predominantly the Virgin Mary, or of Jesus himself. And though the miraculous work of art hasn't been entirely limited to Christianity or even Catholicism, it is usually associated with the Christian faith, and sometimes even also contains ability to heal supplicants who visit or pray to the image. Some visitors also report that these miraculous works of art emit the scent of roses, frequently connected to saints and other holy figures. But all of this isn't to say that these miraculous sculptures are actually accepted or considered to be the real deal by the Catholic Church or other religious governing bodies. In fact, the vast majority of weeping or bleeding works of art are considered to be fakes and most have been officially disproven or denounced by the Church. According to some sources, there is actually only one or two statues officially deemed as a miraculous work of art by the Church-- one, the so-called Our Lady of Akita, is a wooden statue in Akita, Japan, which was said to have cried actual tears 101 times during the 1970s. The very first, though, which seems to have set the standard, is a weeping Madonna from Syracuse, Sicily, which began shedding tears in the early 1950s. Those two, according to the Catholic Church, are quote “worthy of veneration.” Others are being investigated or have long thought to be holy in some way, but those claims are still unverified to this day. In basically all world religions, there's quite a big amount of faithful acceptance that must occur, to some degree-- and in Catholicism, that's certainly the case. Catholics are asked to believe in the Virgin birth of Jesus; in his resurrection; in the promise of eternal life after death; and in a substantial number of miracles from over two thousand years of history. And that's just to name a small number of tenets. So it seems a little funny to report that the Vatican, as well as other officials of the Catholic Church, are actually super skeptical about the phenomenon of the weeping statue. But really, they have to be careful. When something as huge and seriously incredible in the literal sense-- as in unthinkable -- as a miracle occurs, you’d better believe that holy men and women wouldn't want to just outright promote something without really proving its authenticity and its abilities. As such, Church authorities have set very high standards in order to validate these weeping icons and statues all around the world. As an example of recent church methodology, lets briefly discuss the case of a bleeding statue of the popular 20th century saint known as Padre Pio, an Italian friar slash Mystic from the town of Pietrelcina who died in the 1960s. A statue of Padre Pio located in Messina, Sicily, was seen to be crying tears of blood in 2002. As religious fervor and hysteria over this occurrence swept the city, church officials jumped into action with the serious aim of verifying its authenticity. The part that I find most interesting isn't the bleeding statue itself, though that is naturally intriguing. No, it's actually the manner with which the church went about the verification-- they immediately ordered blood tests to determine the makeup and origin of the oozing substance. Turns out the statue was really crying blood-- but it was human blood, and the blood type ended up being matched to one specific woman living in the town of Messina. So this is what I love most-- the church turned to science--actual science!-- in order to disprove the claims of the miraculous. So often, people get kicks out of emphasizing that faith and science are at odds with one another. But sometimes, they work hand in hand to accomplish the same means. This, to me, is further confirmed by the fact that local church officials were doubtful from the get-go. According to the archbishop of Messina, he was skeptical of the occurrence from the very beginning, and that he wasn't surprised that there was someone out there who was quote “abusing the public’s credulity.” Sometimes, it turns out that true believers are actually skeptical, too. One of the main reasons for the disbelieving treatment of these incredible works of art is because it has actually been proven that creating a weeping statue is relatively easy. In fact, in researching this episode, I googled the terms “weeping statue “ and one of the very first sites to come up was about how to DIY your very own crying Virgin Mary. I had no idea such crafty projects existed. And like practically everything surrounding this interesting topic, it has been co-opted by both sides. The ease with which one can fabricate such a thing is seen by skeptics as a sign that all bleeding or weeping statues are false- but believers point to this simplicity as the ability to easily create one's own object of veneration. Much as a traveler will purchase his or her own painted icon or copy of a sacred object, having your very own weeping statue, believers argue, can become a focal point for personal prayers. So, i can hear you ask--how does one create their own weeping statue? It is interesting to look into the steps necessary for this, as it does give insight into how the miracles that have not been accepted by the church might have been falsified for public consumption. Upon acquiring a religious sculpture, usually one that has been painted and glazed, the owner must make two small slits or holes- one at the corner of each eye- and a third one at the top or back of the head of the subject, with careful attention to making that particular hole higher than the eye themselves. In order to get the statue to appear to weep, the owner must leave the statue- which is most typically of a porous material like terracotta- submerged in liquid overnight. The materiality of the sculpture will allow the liquid to be absorbed and then slowly dissipated- not only through the eye slits, but also possibly through condensation, doubly adding to the effect of weeping, and voila- a weeping statue. Who knows? It might not actually be that easy in execution, but either way, it seems that the process is ultimately uncomplicated. Let’s take a small sidestep to discuss the even more specific phenomenon of the bleeding statue or icon. Historically speaking, the weeping statue appeared on the scene first, with the bleeding ones manifesting themselves later. Now what would that be? Well, One scientist, an Italian chemist named Luigi Garlaschelli, claims that its relatively recent appearance in the modern era is actually explainable by technological advancement, particularly through one singularly life-changing invention: the television. Garlaschelli notes that the first instances of blood-producing statues were not seen or heard about widely until the mid-20th century, by which point most households in the Western Hemisphere had access to at least one television in their homes. And in the early, grainy days of TV, there certainly was no such thing as high definition, and those normal weeping statues? Well, their tears just didn't read as well onscreen. But the darkness of blood? Anybody could see that. And just imagine the impact that such a sight would, and did, have when color TV came around. Oh holy night, indeed. Now, that provided some great marketing potential. So, a weeping statue is relatively easy to forge. But does that mean that such revelations deter believers? Not necessarily. As you might guess, people have the tendency to believe what they want to believe- and this obvious statement is one that we've even explored already in a previous episode of ArtCurious when we looked at the theory that the painter Walter Sickert could be Jack the Ripper. So Even given the lack of scientific evidence as well as credible confirmation from religious figures, there are still hoards of people who choose to think that such miracles really and truly occur. And on top of all that, it's not just a matter of faith, but also of vision- by which I mean actual sight. How can you argue with a believer who says that he or she saw something occur with their own eyes? And then of course, there's the final issue of the unknown. Can we really and truly say that there aren't miraculous or holy works of art out there? And could the noise surrounding a landslide of fakes obscure a supremely unexplainable object? Its possible. So Here's my personal truth: I just don't know. I am a skeptic, but I also have to accept my small place in this world. I certainly don't have all the answers, and I am not above thinking that there's much in our world that we don't yet have an explanation for, and that's okay. And really, who wouldn't think that something like a bleeding icon is truly amazing? Don't we all want to believe in miracles, in fate, in serendipity, or some pleasant unknown thing? Regardless of your religious belief system, or lack thereof, or your philosophical standpoint, doesn't the possibility of a miracle make the world a more interesting place? Thank you for listening to this episode of the ArtCurious Podcast. This episode was written, produced, and narrated by me, Jennifer Dasal, with production assistance and editing from Kaboonki Creative. Learn more about Kaboonki at www.kaboonki.coom-- that's K A B O O N K I dot com. For images that relate to today’s story, as well as further information about this episode and our previous episodes, please visit our website at artcuriouspodcast.com. If you liked this show, let us know! Contact us via the website, or email us at artcuriouspodcast@gmail.com, or find us on Twitter and Instagram at artcuriouspod, where we are posting great images and tidbits on a daily basis. Got an idea or a request for an upcoming episode? Feel free to let us know that, too. And of course I'd love to know your thoughts this as well as our other episodes. Before we end today, I have a few quick announcements to make. The first actually isn't much of an announcement, but just a big show of gratitude. Thank you so much for your love and support for this podcast and for coming on this incredible ride with me. This is our tenth episode, and while that isn't a lot, it’s still a huge milestone for me-- so thank you for being here and listening today. I hope you’ll stick around, because I have lots of big plans for this show in the New Year. Which leads me to my second announcement. As the holidays are indeed upon us, I want to let you know that I am taking a little break in order to focus on enjoying the holidays with my family-- and resting my brain a little bit so that I can gear up for a great new round of episodes for you. Because of this holiday break, I’ll actually be posting episode 11 in mid-to-late-January. So please subscribe to the show and be on the lookout for announcements coming in the next few weeks about the next episode and its release date. Lastly, we have some changes planned for this podcast-- including a series of episodes that you-- you! Our fantastic listeners-- voted on in a Twitter poll last fall. This is a crazy and exciting time for ArtCurious and you all have so much to do with it, so again, check us out on twitter and tell your friends and family all about our show. And most importantly, remember to rate and review our show on iTunes or wherever else you get your podcasts. You wouldn't believe how much it helps us to find new listeners. I wish you all a very happy holiday season and an excellent new year, when we will reconvene to explore the unexpected, the slightly odd, and the strangely wonderful in art history.